C. SPECIAL TAPE: :SAN CHEMICALS,LTD. 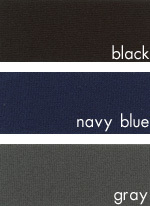 an elastic cloth tape for marine suits with jersey-laminated CR (Neoprene™) sponge. 2. Excellent elastic recovery (due to enhanced elastic extension). Deformations-normally the result of repeated stretching-is not a problem. Dot re-enforced tape, a special version of MELCO™ T-5000, which has a non-slip surface with polyacrylic dots, suitable for gloves and marine suits, etc. This tape does not stretch in width, but has elastic stretchability lengthwise. Because MELCO™ RF-6200 tape uses the exact same primer/hotmelt adhesive as MELCO™ T-5000 tape, it has the same new advantages listed above. Therefore, MELCO™ RF-6200 tape is the ultimate tape for reinforcement of ultrasonically bonded seams. We are available for custom product development, and will make every attempt to meet our customers' specifications. Please contact us for testing, further information about MELCO™ tape products, or free product catalogues and samples. MELCO™ tape is used to seal seams and stitches on a variety of products. We have also introduced a new line of MELCO™ tapes, designed to reinforce ultrasonically-bonded seams. All tapes are applied using a hot air welding machine.